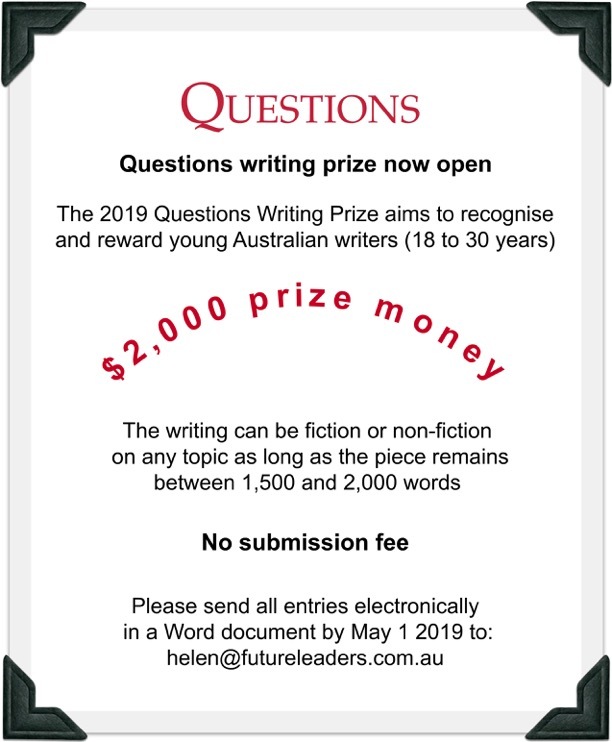 The 2019 Questions Writing Prize aims to recognise and reward young Australian writers (18 to 30 years). The writing can be fiction or non-fiction on any topic as long as the piece remains between 1,500 and 2,000 words. The winner of the Questions Writing Prize will have their work published in a book and a forthcoming issue of Questions.